Because its summer, daughter and I are on the lookout for new "noms." 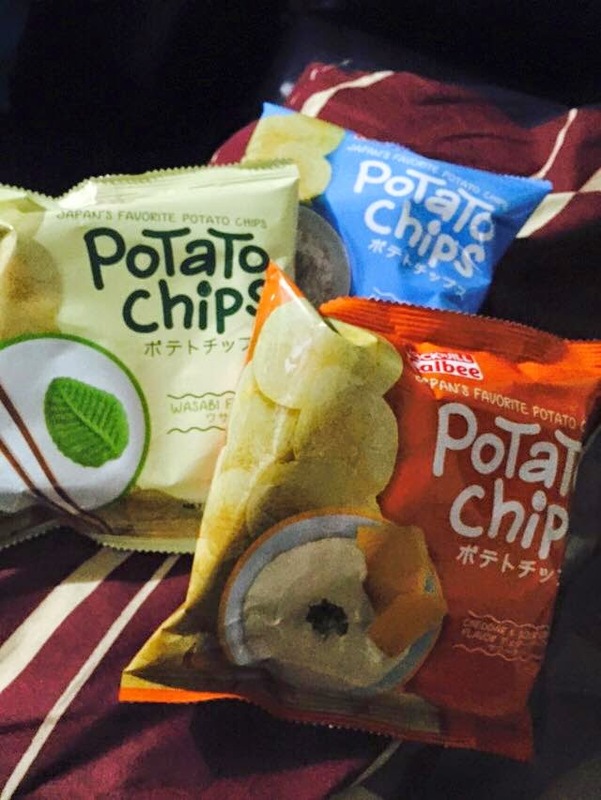 So here's our new food finds from the grocery --- Calbee Potato Chips. Luckily, it has three flavors that we seem to agree on (hubby included) - wasabi, classic salt, and cheddar and sour cream. My hubby, on the other hand, love the "wasbi" flavor. That's the yellow colored pack. This flavor is a hit-or-miss. Either you love it, or you hate it. The "wasabi" flavor stings the tongue but the flavor soon disappears after a few seconds. This flavor is for those who loves wasabi. Daughter gives the cheddar and sour cream flavor a nod (predictably). She also loves the fact that the chips are coated with just the right amount of flavor. She prefers to pair it with Dr. Pepper's Cherry Soda. The small packs costs P16.50 and the huge one (no photo) costs P99.00 in the grocery.